Journey of Voices was a project with World Vision, United Nations ILO, and other human rights agencies for a solo show to present works representing migrant workers’ contributions in Thailand and the issues they face coming into the country. 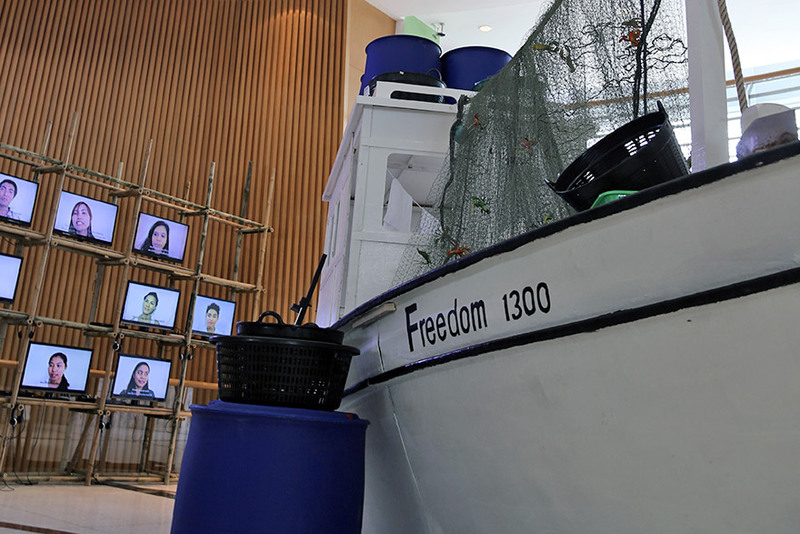 The immersive art exhibition includes a 16-channel video installation, a life-size interactive Thai fishing boat and other large-scale sculptures and archival photos. 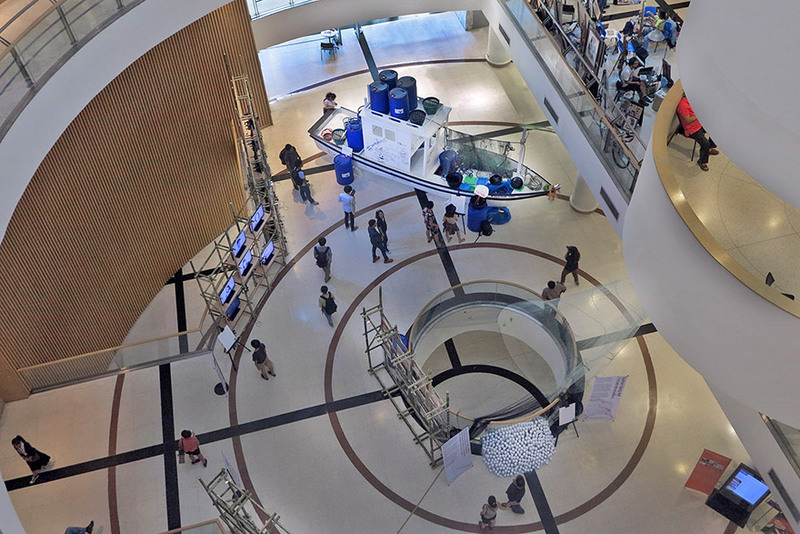 The show was held at the Bangkok Art and Culture Centre (BACC), from 16-21 December 2014 in celebration of International Migrants Day (18 December). 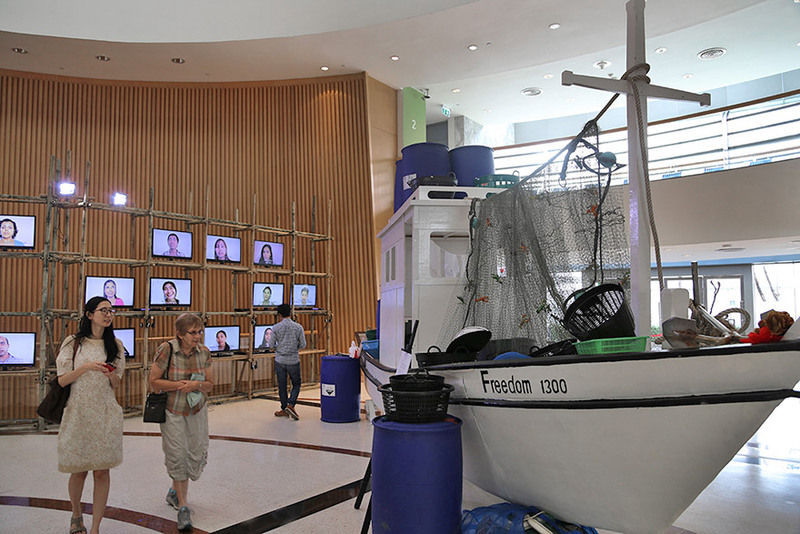 In collaboration with the Saphan Siang campaign, the exhibition seeks to highlight and give voice to migrant workers’ experiences living and working in Thailand’s fishing communities. The Journey Of Voices exhibition will take place at Bangkok Art and Culture Centre on the ground floor, opening on December 16th and staying up until December 21st. The museum is open from 10am until 9pm. Photography is encouraged and any Instagram photography with the hashtags #journeyofvoices or #saphansiang will be reposted on the official Journey Of Voices Instagram, creating a collaborative collection of the viewer’s look at the exhibition itself. 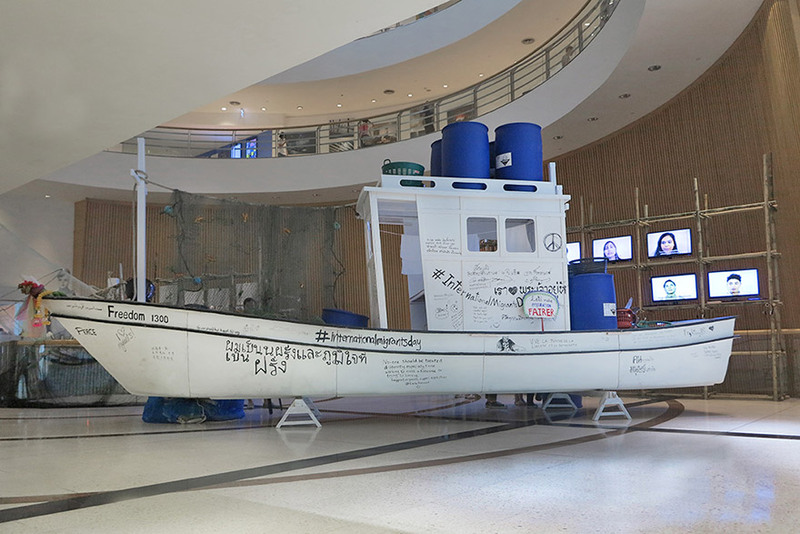 The works, produced in 2014, include various large sculptural pieces, one of which being a life-sized Thai finishing boat commonly associated with slave labor in the seafood industry. 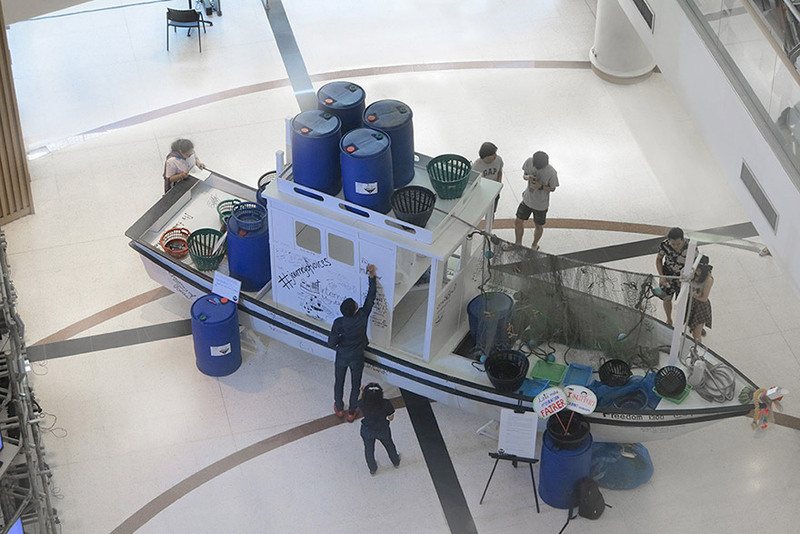 After the exhibition the boat will be donated to fishermen and used in Thai waters. The boat will be painted white and visitors will have the opportunity to write messages of hope on the boat to migrants all across Thailand with provided paint pens. 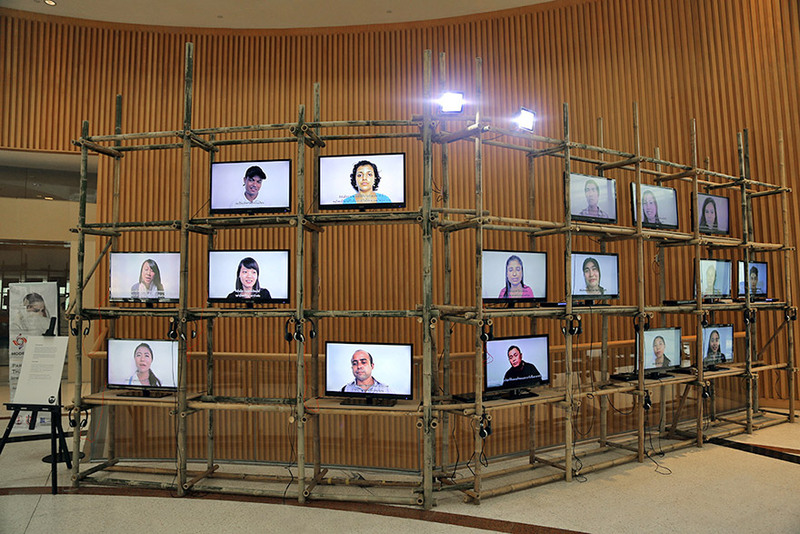 Along with the sculptures will be a 16-channel video installation on a large scaffolding sculpture giving voice to migrants from surrounding countries such as Burma, Cambodia and Laos. The videos were filmed in different locations across the country. 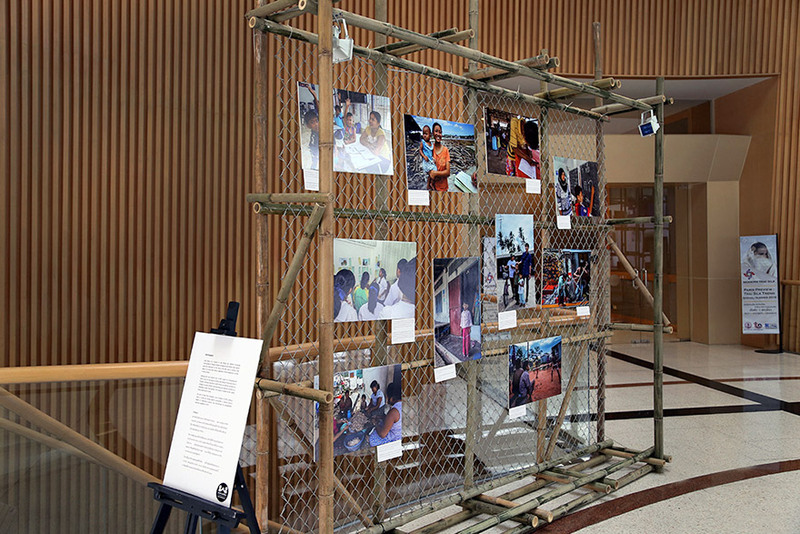 Also on display is an archival photo series commissioned by ILO-IPEC. Opened in 2008, the Bangkok Art and Culture Centre (BACC) is a museum for the contemporary arts in central Bangkok. Originally named Bangkok Metropolitan Museum of Contemporary Art (BMOCA), the name was changed in 2008 before the opening. The centre aims to be a meeting place for artists and creatives as well as to provide cultural programmes for the community giving importance to cultural continuity from past to contemporary. It aims to open new grounds for cultural dialogue, networking, and create new cultural resources from both the public and the private sectors. The campaign is supported by the International Labour Organization (ILO), the International Organization for Migration (IOM), the United Nations Economic and Social Commission for Asia and the Pacific (UNESCAP), World Vision International (WVI), partner civil society organisations (CSOs), Public Delivery and numerous academic institutions. The direct involvement of Public Delivery brings a fresh look at issues of social justice through the lens of art. Public Delivery has organized exhibitions and public artworks around the world, including the tallest mural in Asia. 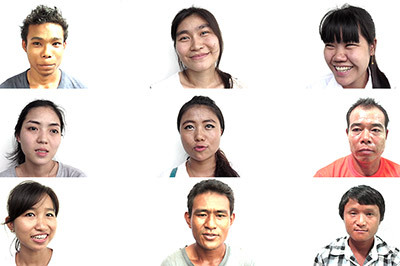 The Saphan Siang (Bridge of Voices) campaign promotes understanding between Thais and migrant workers. Most visited arts non-profit online. Established in 2011 in Seoul, South Korea. Projects in 101 countries. We would love to keep the conversation going. Please join us on Pinterest, YouTube or Instagram. Want inspiration in your inbox?